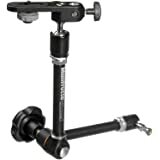 Allows direct attachment of camera or tripod head to Superclamp. 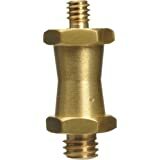 This stud is designed to plug directly into a Super Clamp 035 socket. 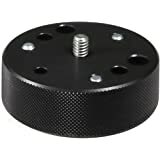 This allows you to mount cameras, directly or with a camera head. 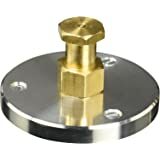 Attachment: 1/4" and 3/8" screws; material: brass; weight: 0.09 lbs. 1.0 out of 5 starsThank Goodness it Wasn't the Camera Mount! 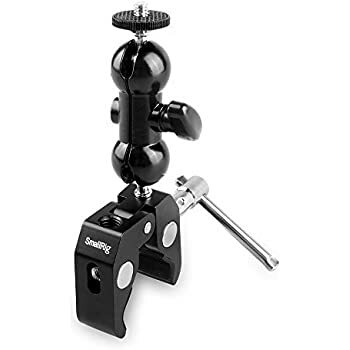 On one hand, we have the Manfrotto stud and on the other, Chinese manufactured adapters etc. One Manfrotto stud, one, is the price of a whole bag of PRC adapters. Which should you get? Here let me re-frame it; who wants adapters that shear off when unscrewed because the metal is almost as soft as putty. Great product. Camera mount adapter needed the larger size thread instead of the 1/4-20 standard mount. 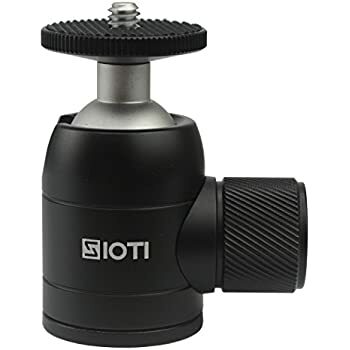 This short stud works as needed, plus the camera mount sit flush with the top of the Manfrotto Super Clamp. Thanks for a great product. 5.0 out of 5 starsMust-have stud for the Superclamp! I own a few Superclamps and love them - problem is that the standard stud is fairly limited. For any photographers, this reversible short stud is a must-have. 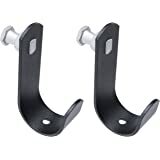 Not only does it have 3/8" on one side and 1/4" on the other (eliminating the need for bringing 2 studs), the fact that it's short means that it sits flush in the Superclamp - this is very important for attaching a heavy object (camera or ballhead) whereas the standard stud sticks out about an inch and can be unsafe for heavier objects. I've used this with ballheads (and DSLRs), hotshoe flashes and small video camera (like a Flip) -- worked great on all of them! 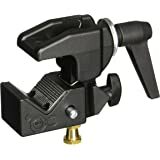 If you're also looking to buy another superclamp, check out the Manfrotto 2909 Super Clamp with 2907 Short Stud which has THIS stud instead of the "standard" stud. 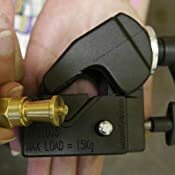 Plenty of applications, particularly the Superclamp. I'm using this in part to mount a ball head on a "skate dolly" (the dolly has 1/4" by 20 tpi threaded holes and studs, but the Manfrotto ball head I have has 3/8" female for mounting.) I'll be careful about avoiding stressing this stud based on other's comments here about snapping an end off. 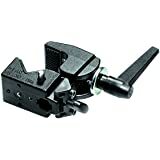 If you use Manfrotto Super Clamps, this is a must have item. 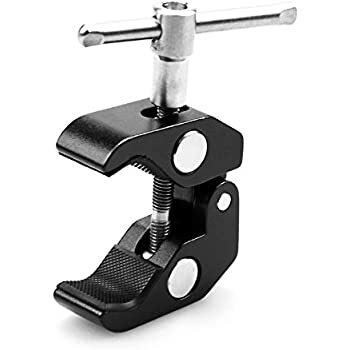 The reversible stud has a 1/4-20 thread on one end, and a 3/8" thread on the other, so you can mount a tripod head to the clamp, or flip the stud over and mount your camera directly to the clamp itself. The Superclamp is just that - super and a clamp. But, without the appropriate stud the clamp is pretty useless. 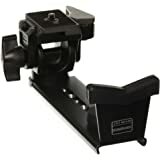 The Manfrotto 037 Reversible Short Stud makes the Superclamp useful for mounting a camera directly to the clamp or a tripod head because it has both 1/4th and 3/8th threaded screws. 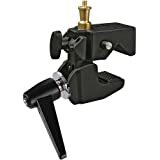 The Manfrotto 037 Reversible Short Stud sits flush with the plane of the clamp thereby making mounting the camera or tripod head stabilized by contact with the flat upper portion of the clamp itself in addition to the thread connection. 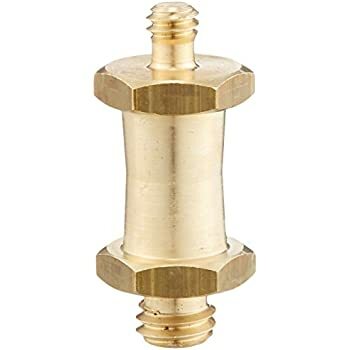 This is FAR more useful than the "Standard Stud" that ships with many superclamps because that stud has only the 1/4th connector and sits about 1 inch out of the clamp thereby making connecting anything more than a P&S potentially hazardous to your equipment. 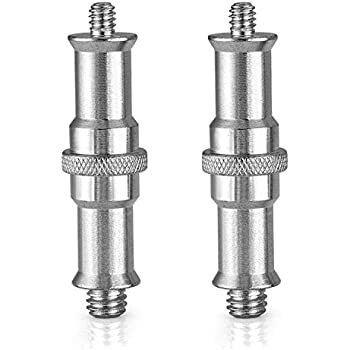 Buy the Manfrotto 037 Reversible Short Stud if you own the superclamp and if you are buying the superclamp by the Manfrotto 037 Reversible Short Stud instead of the "Standard Stud" - because if you don't you'll be back and have wasted time. 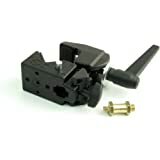 Just what I needed for connections on my Manfrotto 196B-2 143BKT 2-section holder.